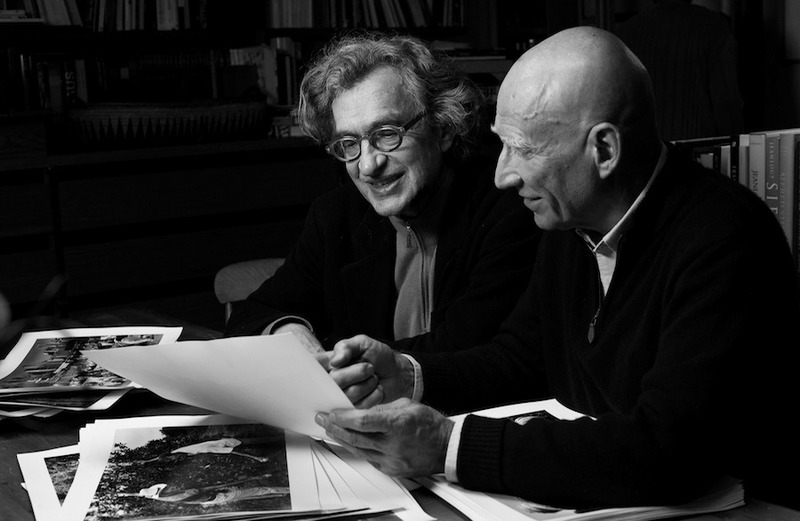 One day, back in the 80s, the German filmmaker Wim Wenders saw pictures of the Brazilian-born photographer Sebastiao Salgado at a gallery in Los Angeles. He was so impressed that he bought two prints on the spot. 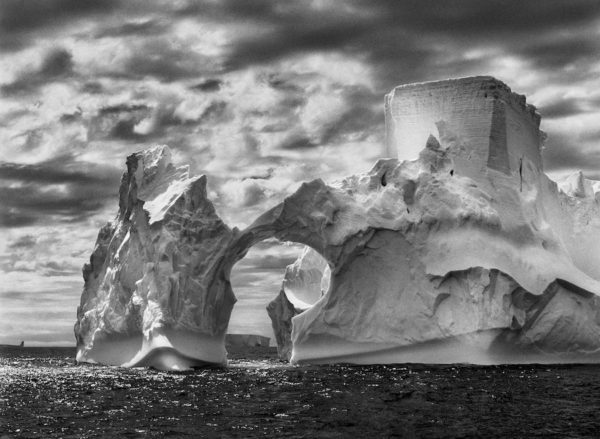 Since, Salgado has quickly become his favorite photographer. 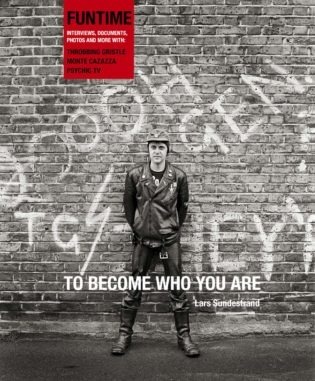 Wenders continued to follow his work, and one day, being who he is, Wenders decided to simply knock on Salgado’s door. Over the years Salgado has become the preeminent social photographer, going to places like the genocidal Rwanda and the war-torn Bosnia, and photographing the despicable things people do to each other. 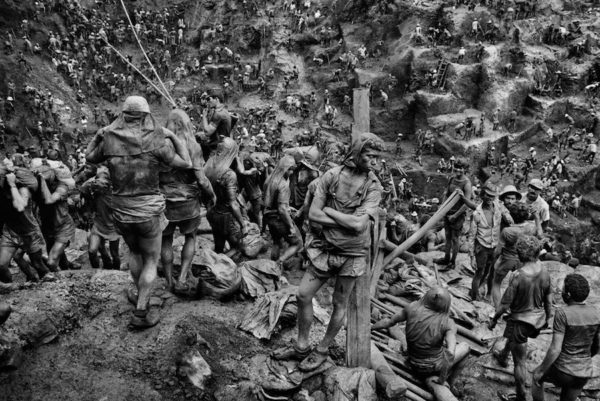 One of the photos that Wenders bought was from Salgado’s first major project, taken at the Seira Pelada gold mines in Brazil. The photos are stunning in their depiction of the sheer scale of human greed and industry. The other picture was from the Sahel desert, where millions have died from famine. Wenders met Salgado in 2009 at his home in Paris. Salgado showed him photos from his new project, Genesis, which for the first time featured nature instead of people. They bonded instantly over their love of photography and soccer. Wenders kept coming back. During one of his visits Wenders met Salgado’s son, Juliano, a documentary filmmaker. Juliano had already accompanied his father on several trips for the Genesis project and had shot plenty of raw footage that he was thinking to turn into a documentary film about Salgado. The Salgados asked if Wenders would be interested in co-directing. “The beautiful thing of documentaries is that you can sometimes start without having any intention,” Wenders told me when I met him and Juliano in New York a few weeks ago. 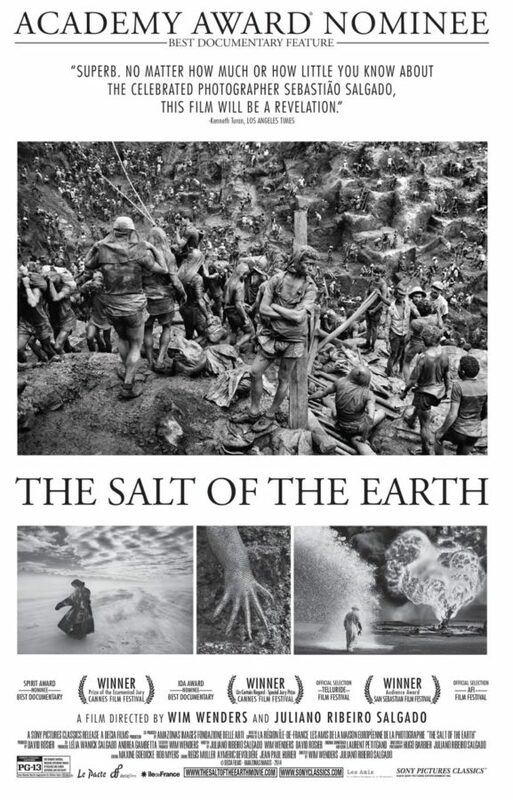 The making of the film, titled “The Salt of the Earth,” which opens in selected theaters today, was supposed to be fast and easy, but, as is typical with such projects, turned out be long and arduous. The two auteurs butted heads over just about everything. 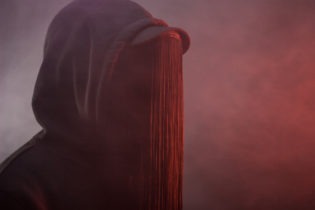 They argued about which of the countless hours of footage to use and which to leave out. Their filmmaking styles are miles apart. 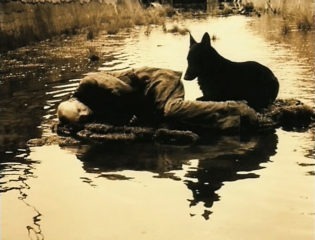 Juliano already shot much of it in far-flung locations such as Indonesia and Siberia in his no-frills documentary style. 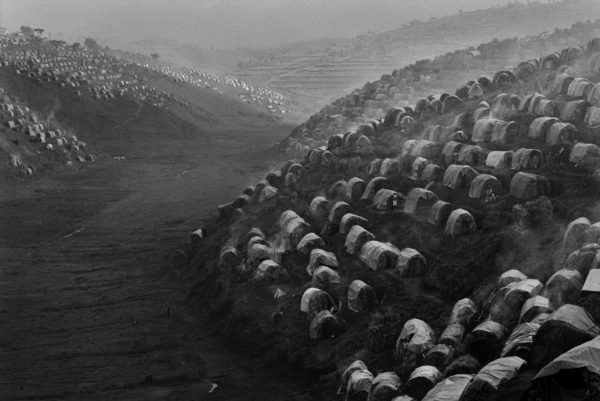 Wenders, whose part of the film consists mostly of interviewing Salgado in his studio, opted for the cinematic black-and-white, to mimic Salgado’s photographic style. “I knew my realm was going to be black and white in order to enter his,” he said. The other challenge was how to interview Salgado, who would be commenting on his work. Wenders came up with an ingenious method where he positioned the camera behind a screen on which he projected whatever photographs Salgado discussed. This way it was the photographer and his work, uninterrupted. Juliano took an entirely different approach. For him the point was the contrast between his own work and that of his father, with whom he had a strenuous relationship. 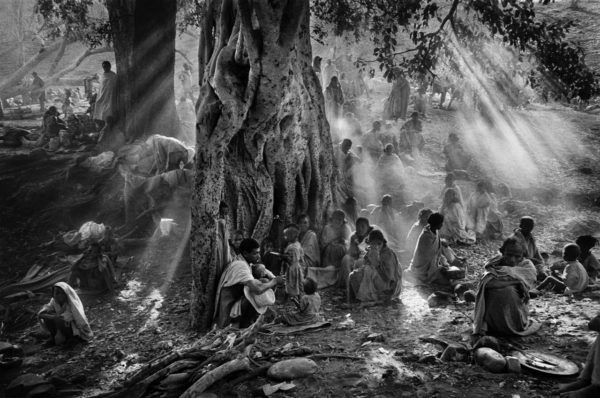 Salgado, who chased his work around the globe, was often absent from Juliano’s childhood. That and his fame undoubtedly weighed on Juliano. Why did Sebastiao Salgado himself want to make the film is the question that remains unanswered. One can speculate that such documentaries are the new autobiographies, records of old famous people who want to leave a certain legacy behind told in the way they want to be remembered. Sontag’s criticism is not new. The French intellectual Roland Barthes cast our voyeurism as the height of hypocrisy in his 1957 essay “The Great Family of Man,” which Sontag invokes in her book. Ironically, the problem with Salgado’s images, as Sontag astutely pointed out, is that they are absolutely gorgeous, and their beauty can take away the viewer’s attention from the atrocities they depict (Sontag called it “the inauthenticity of the beautiful”). It is equally important to point out, as Barthes would, that these photos do not depict “the human condition,” as Wenders says during his narration, but the condition of specific humans in specific areas of the world. It is nothing that we, in the first world, can relate to. The documentary addresses such criticism obliquely during an interview with Salgado in which he talks about his last social photography project. By the end of it he says that he was so literally, physically ill from witnessing so much sheer misery that he decided he could bear no more. 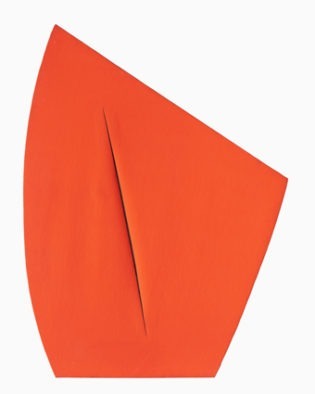 This was the impetus for his last big project, Genesis, which would deal not with people but with nature. To Salgado’s (or Wender’s?) credit, his empathy comes through. The last part of the film shows Salgado and his wife reforesting their old family farm in Brazil, where they planted two million trees. That Salgado is a man who cares seems undeniable. 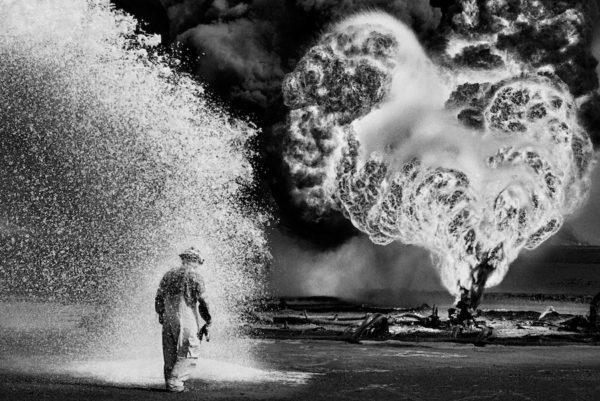 As for the filmmakers, both Wim Wenders and Juliano Salgado swore that they would never co-direct again.